Shortly after realizing the effects of the heavy rains resulting from the passage of a tropical wave, the management of the Department of Disaster Management called on Tortola Lions members to assist in any measurable way that was deemed possible. An assessment was made of the damages at the Elmore Stoutt High School. As a result of a breach of the protective walls, the flow of water from a major ghut was diverted through the school’s compound and resulted in the deposit of large volumes of water, mud and other debris into the lower lying buildings. An immediate decision was made to deploy capital and human resources to assist the institution. 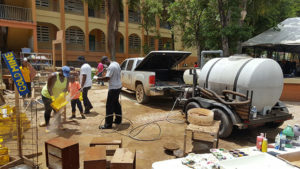 Calls were made to our corporate sponsors for in-kind donations and together with Lions, government agencies and other service organizations, thanks to the contributions made by QWOMAR Trading Limited, LJD VI Block, MB’s Ice, Newton Construction, Legacy Auto, One Stop Auto and Caribbean Basin Enterprises the project was able to secure shovels, gloves, water, ice, pressure wash machines, garbage disposal bins, trucks and much needed labourers. A comprehensive loss assessment is now being conducted by ESHS but preliminary reports have indicated substantial loss of computers, furniture music and other equipment. Lions, through their network of sponsoring partners and their international and regional counterparts have pledged to assist in the replacement and reinstitution of the various programs to levels equal or surpassing prior accomplishments. Where there are NEEDS there are LIONS! 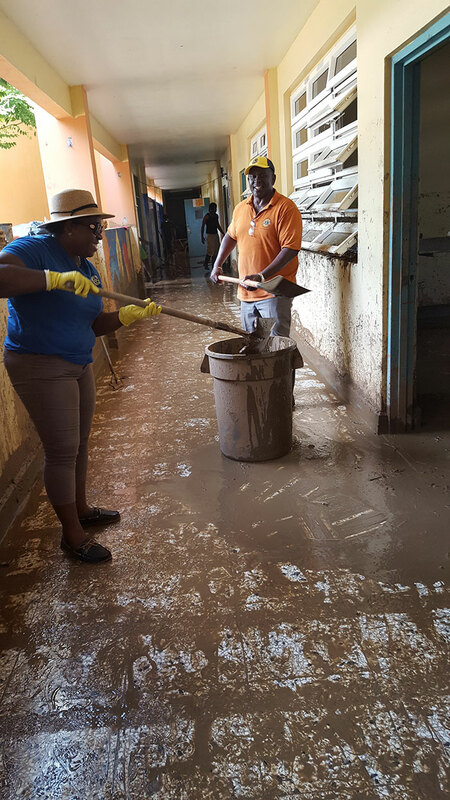 Resulting from the heavy rains, homes and businesses in low lying areas throughout the Greater Road Town and other environs were covered in several feet of water which resulted in loss of beddings, furniture, audio and video equipment, apparel, footwear and other household effects. 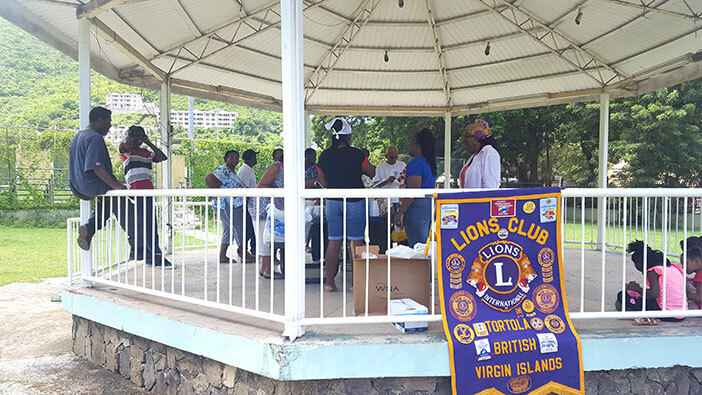 Given the high level of stress by individuals affected by the flooding, Lions members were contacted and invited to assist with the distribution of FREE SOUPS to needy community persons. 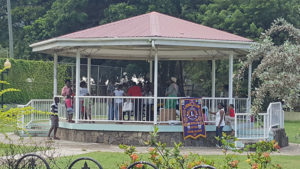 Thanks to the participation of pastors and members of “Fort Hill Prayer Group”; “Transformational Church International” and “Church of God of Prophecy” over 500 bowls of various soups were distributed in three days. 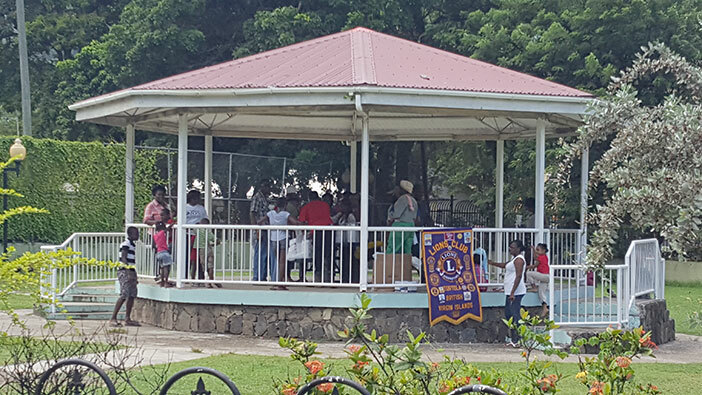 Recipients included patrons of “the Senior Citizens Home”; “the Rainbow Children home”; “the Family Support Network”; “Sandy Lane Center”; “Social Development clients” and numerous community citizens. Joy and words of appreciation were expressed by all who were served and considered. Where there are NEEDS there are LIONS!